The Burton Scribe EST is for Burton boards only which requires 100% brand commitment. 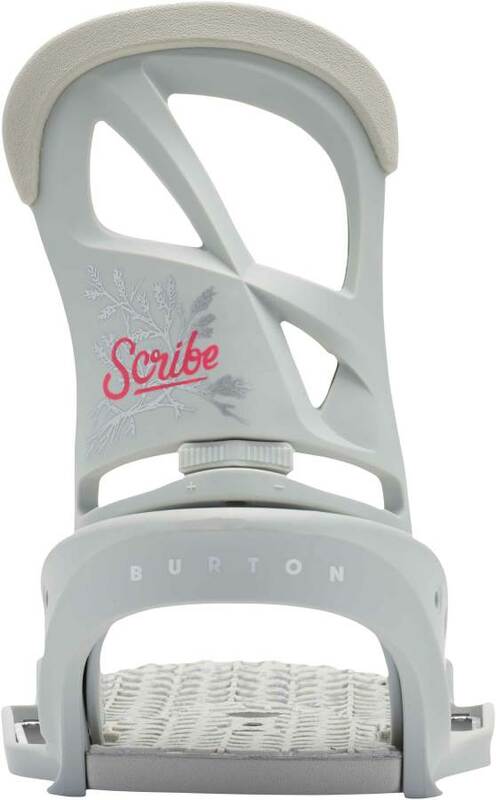 You get a little flex under foot but our 2 cents is just stick with the regular scribe. 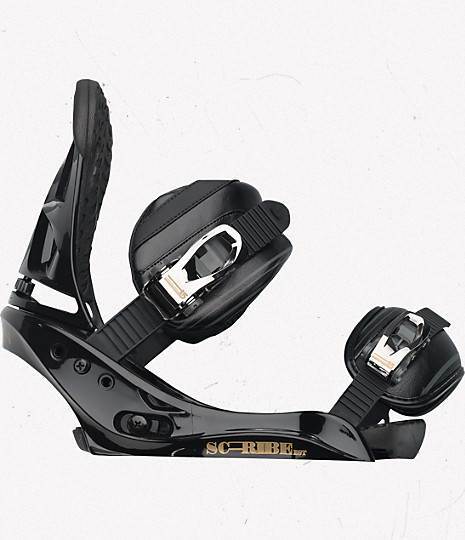 The re:flex tech with the regular scribe offers a flex under foot that is almost as good as the EST and you can buy other boards. 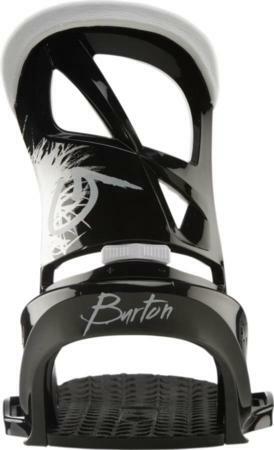 If you are married to Burton then you will get a little more flex underfoot. 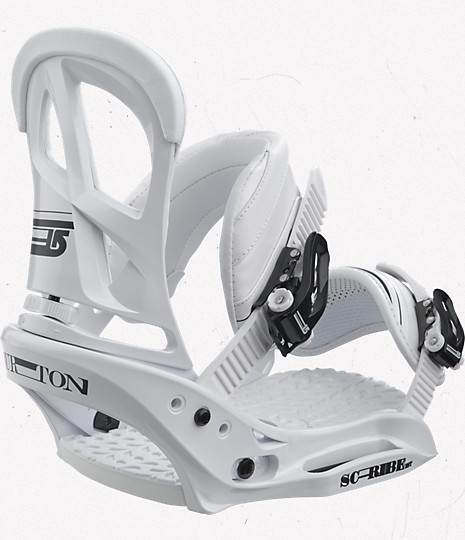 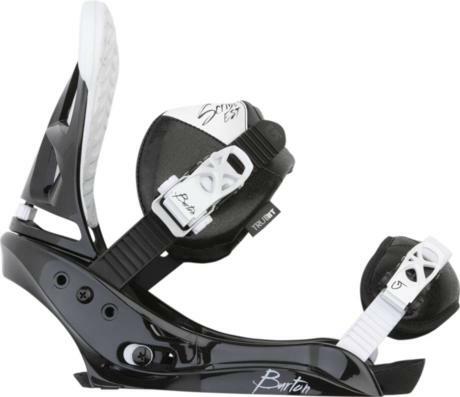 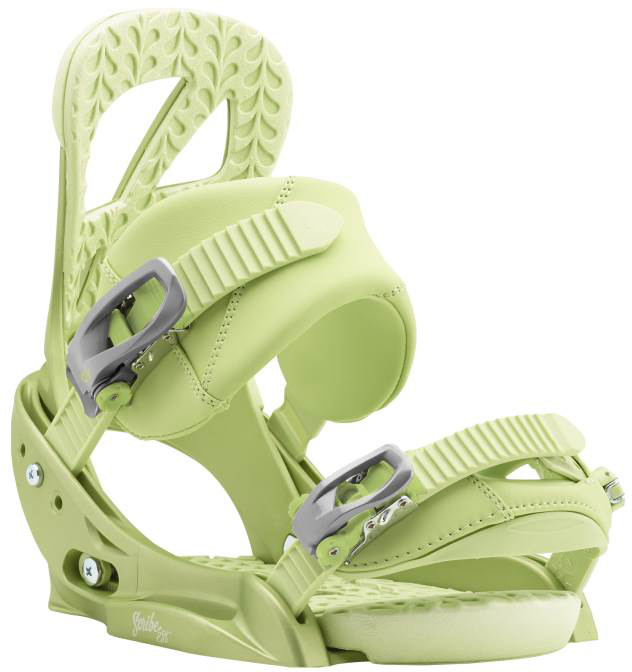 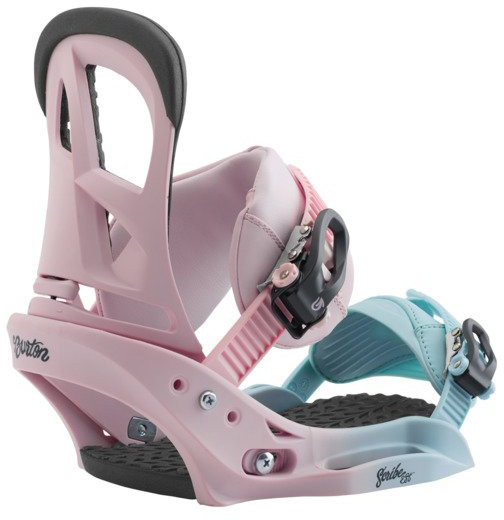 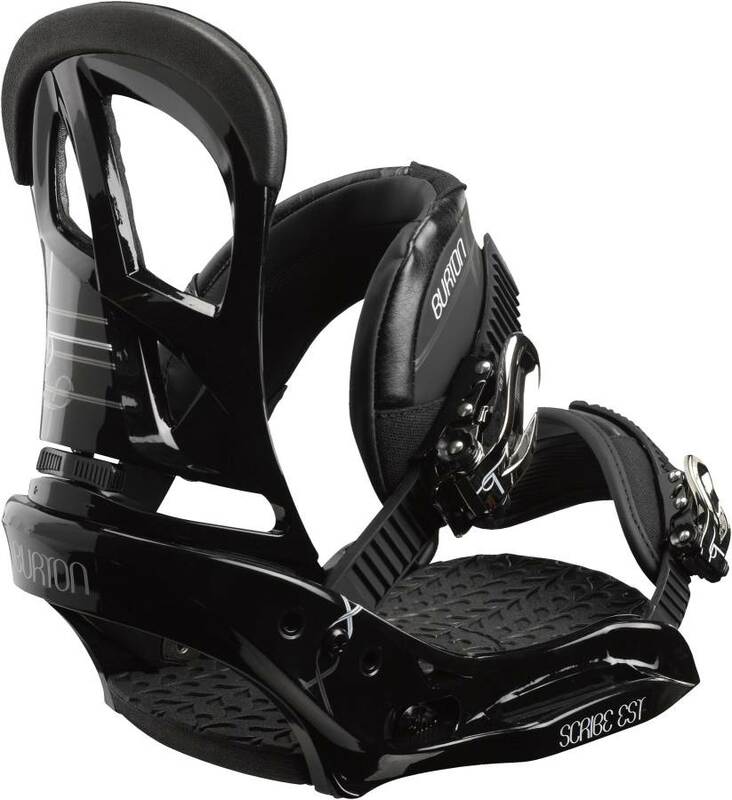 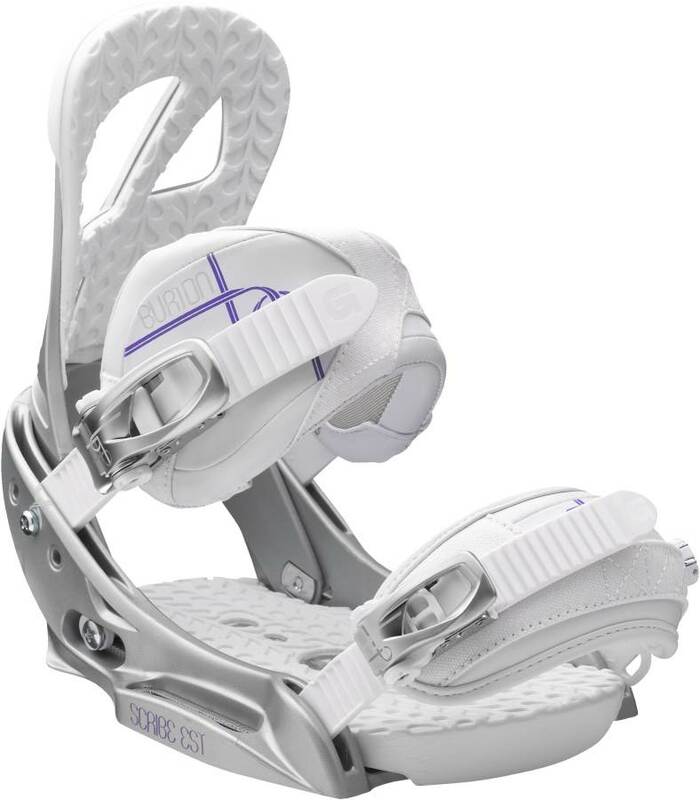 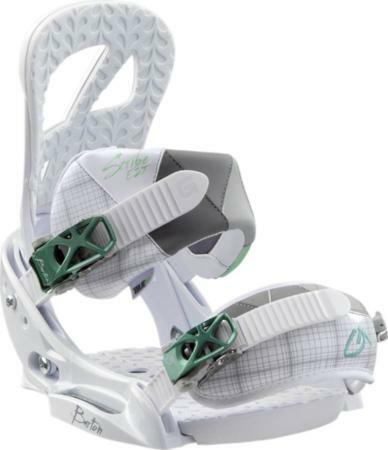 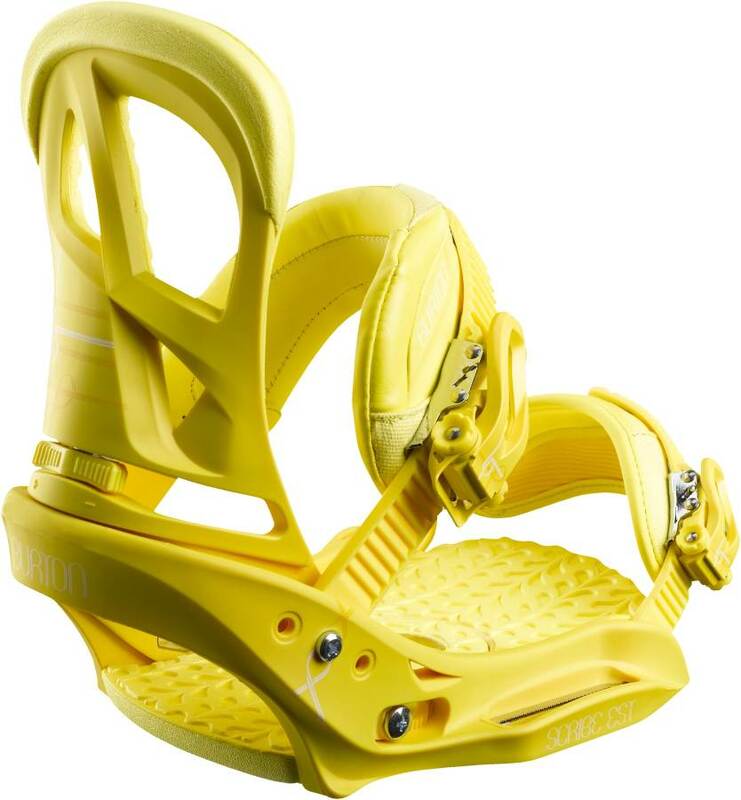 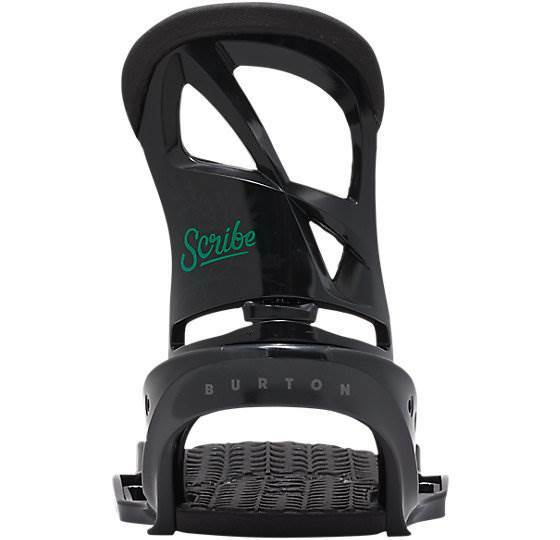 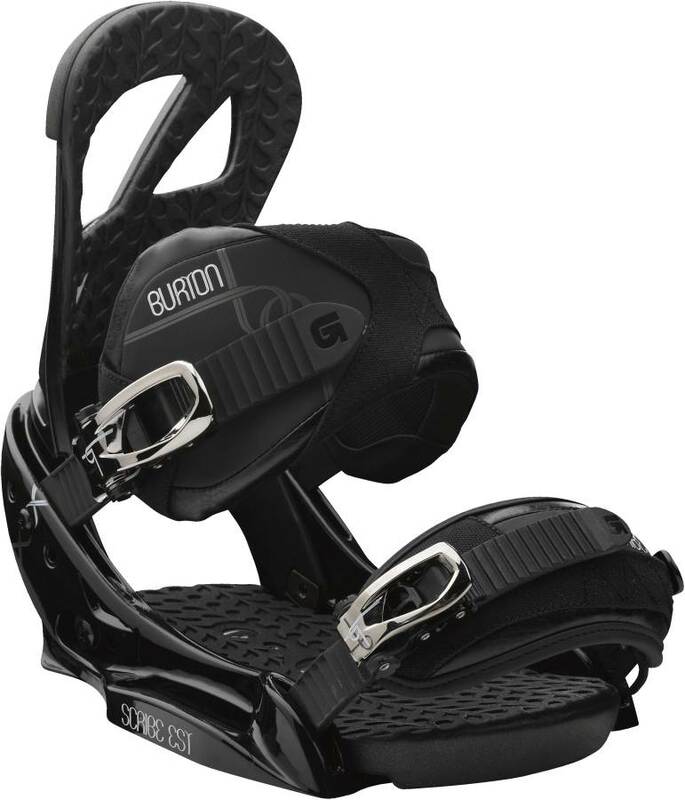 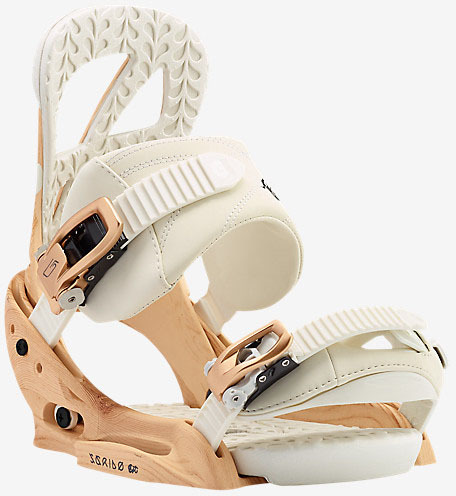 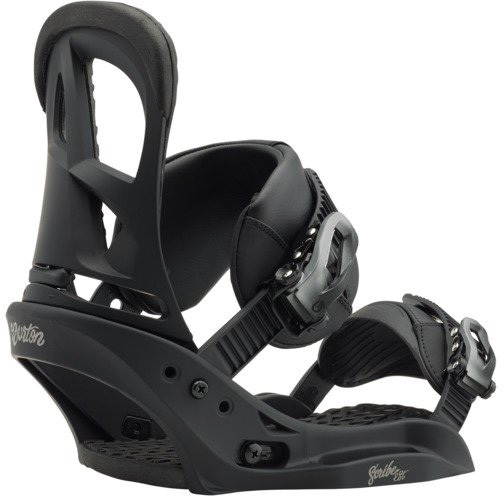 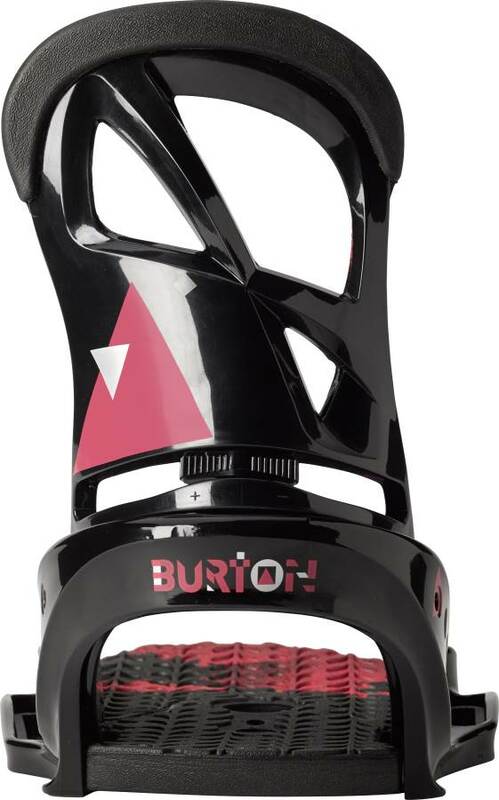 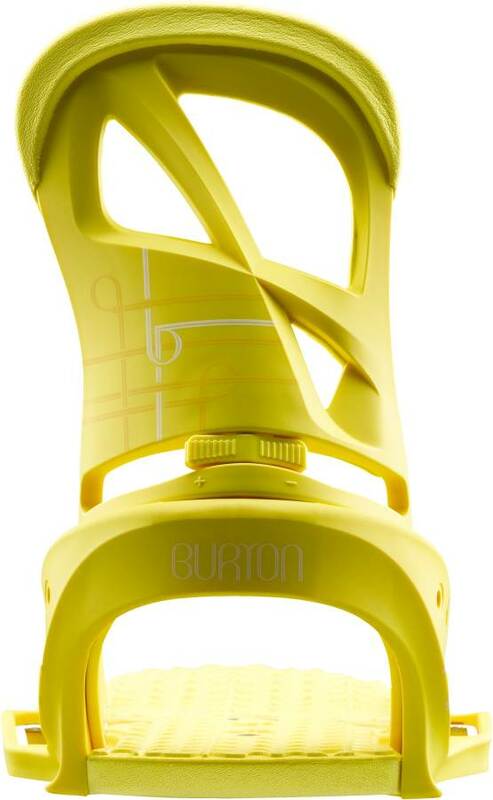 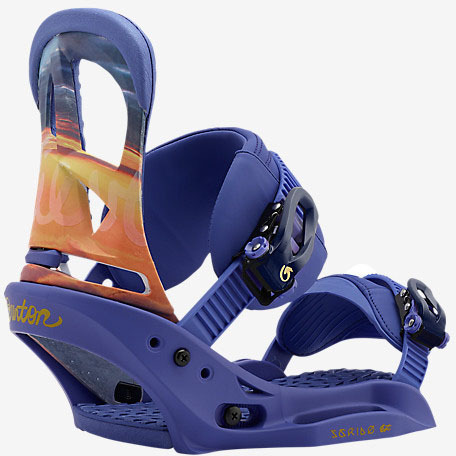 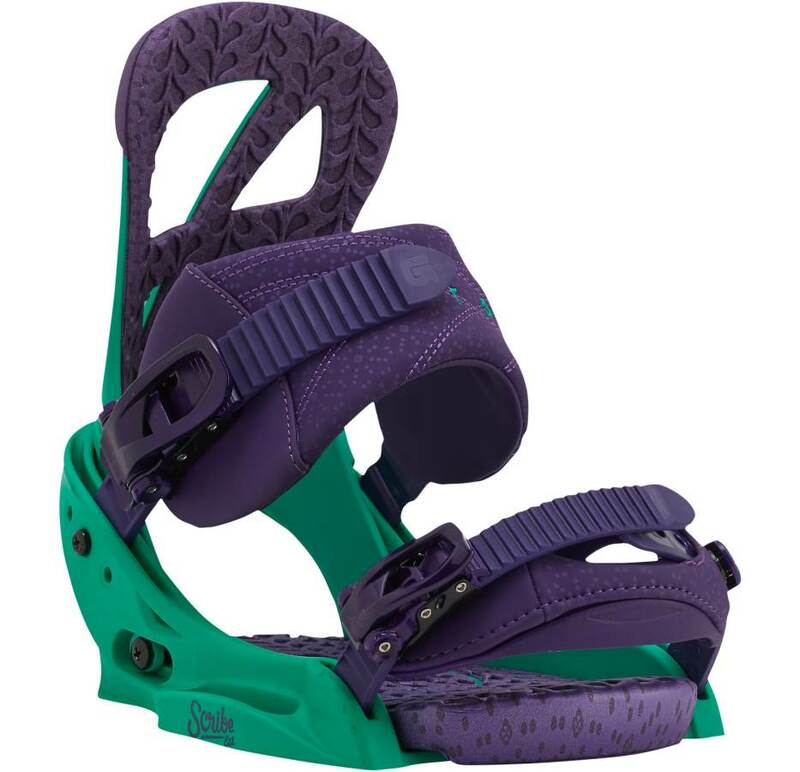 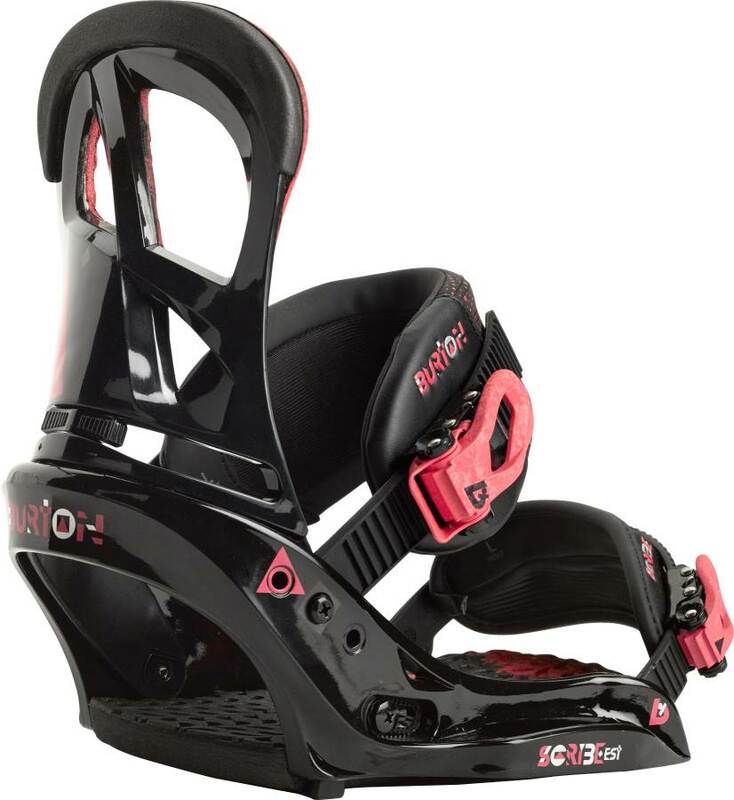 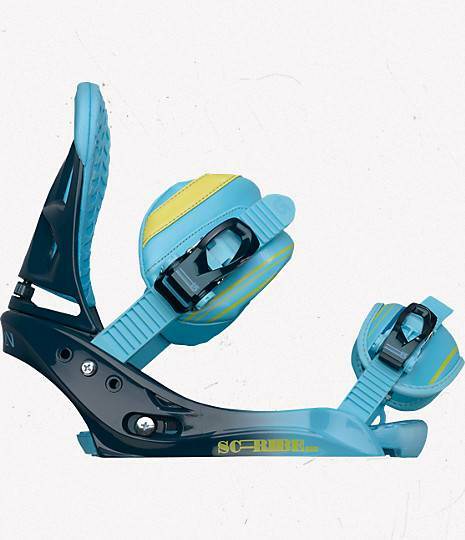 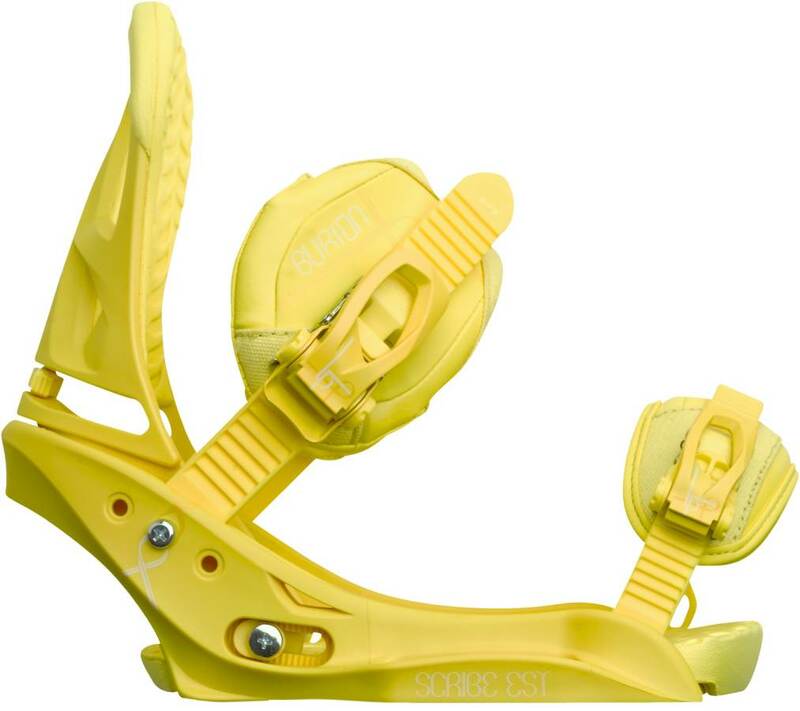 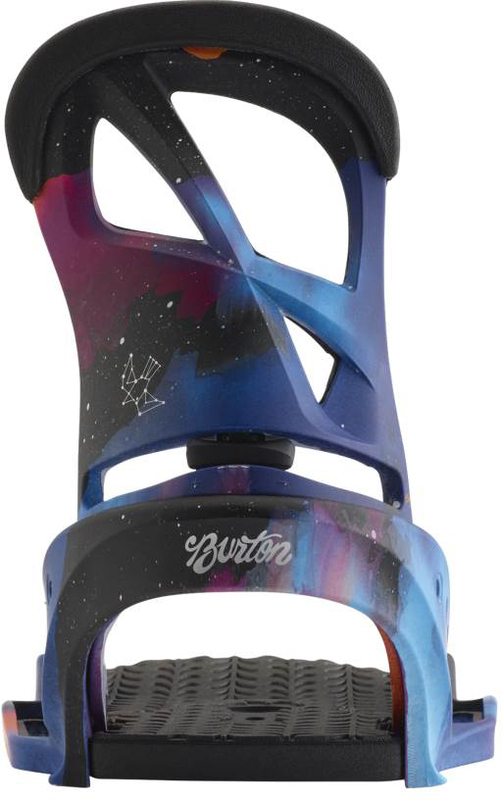 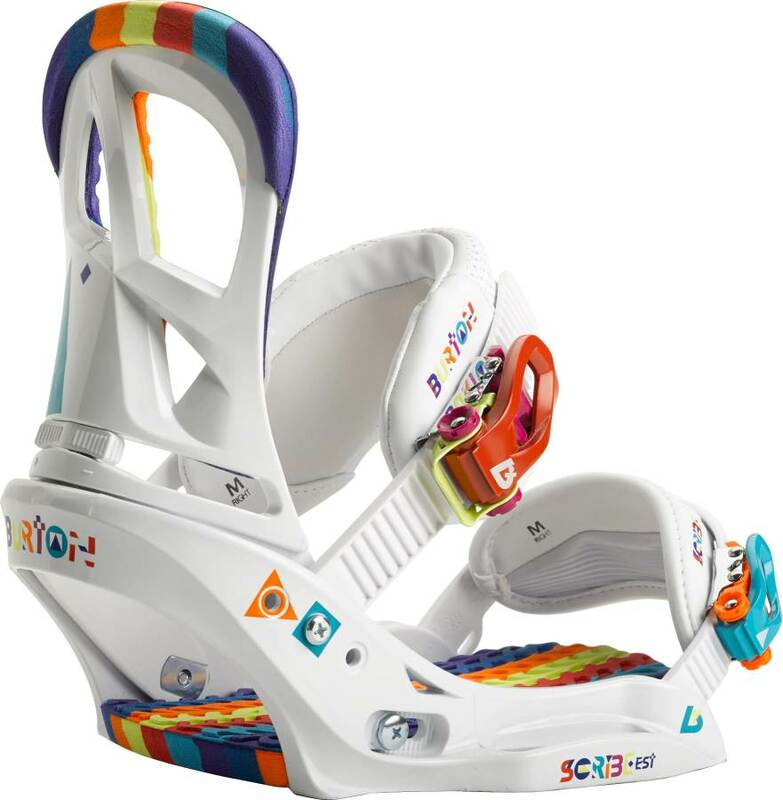 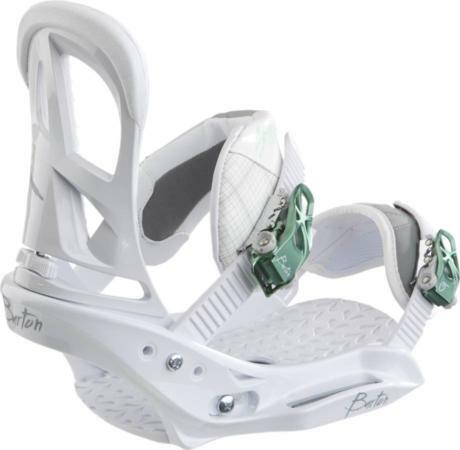 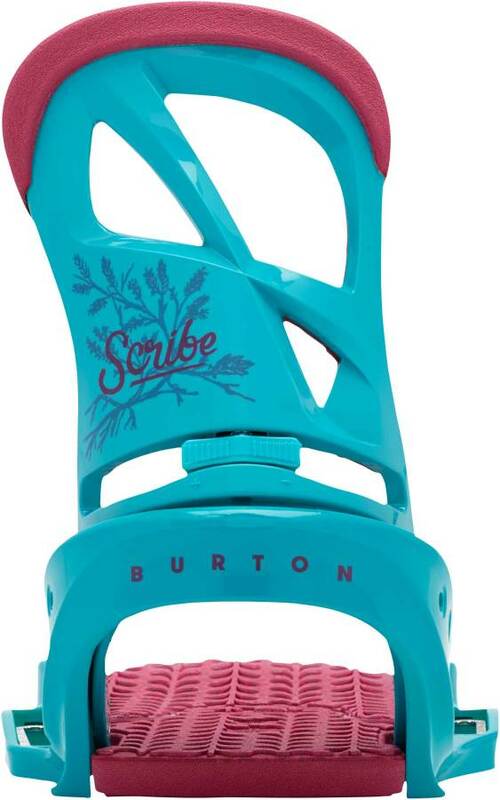 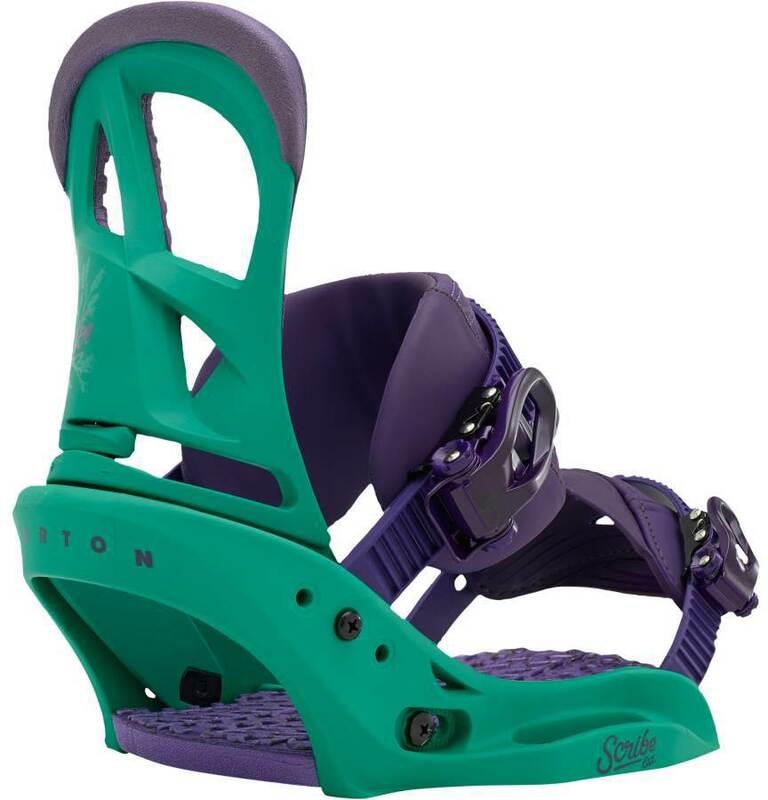 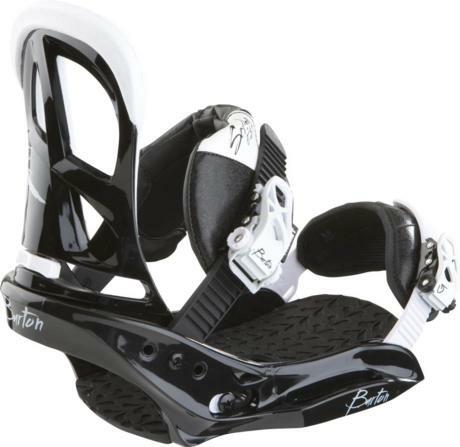 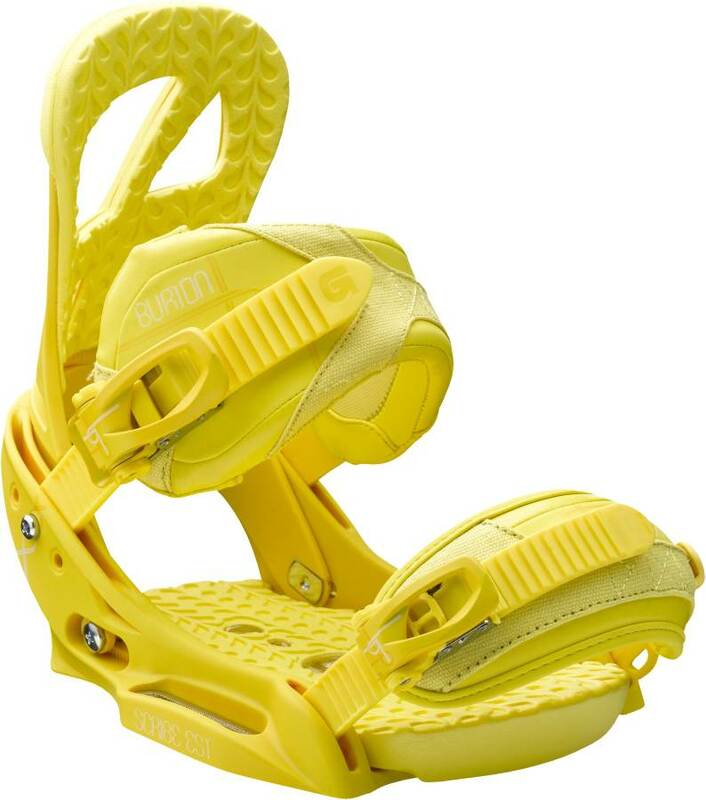 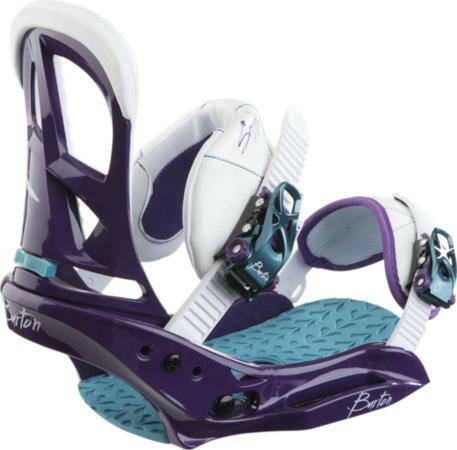 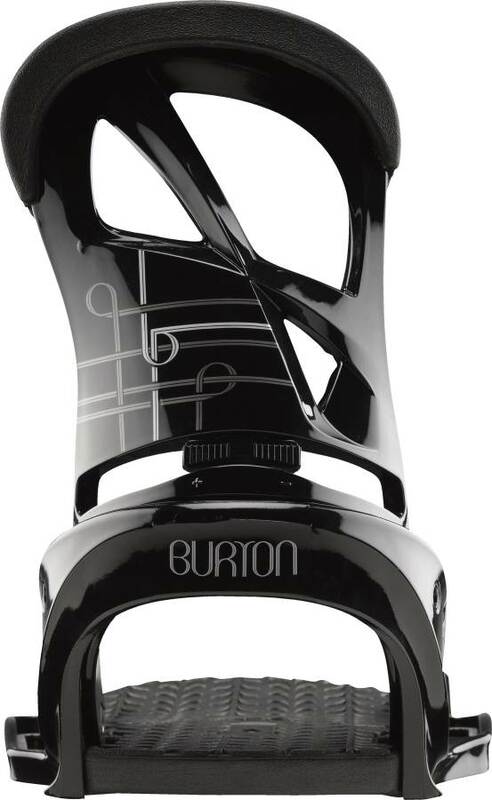 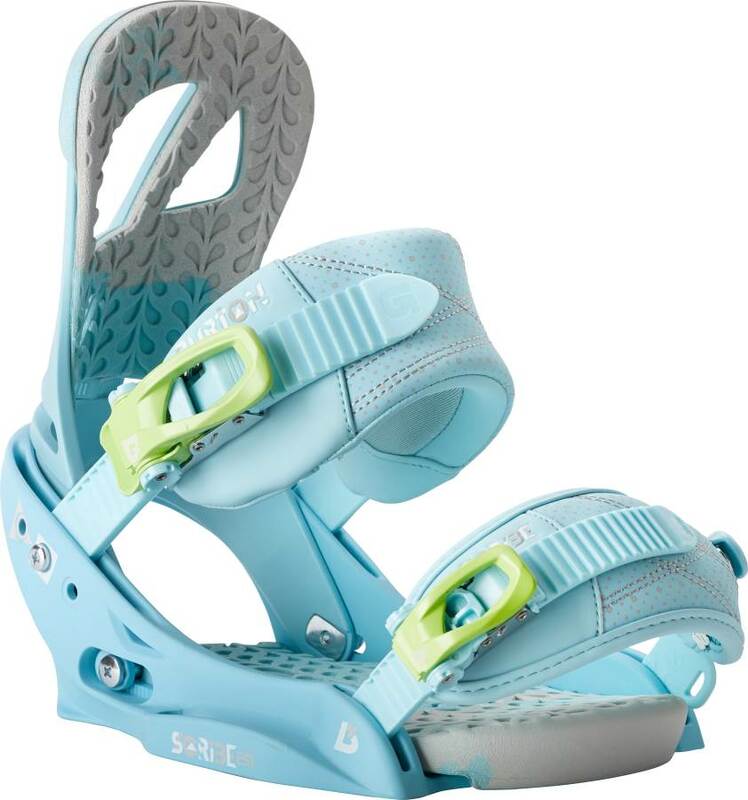 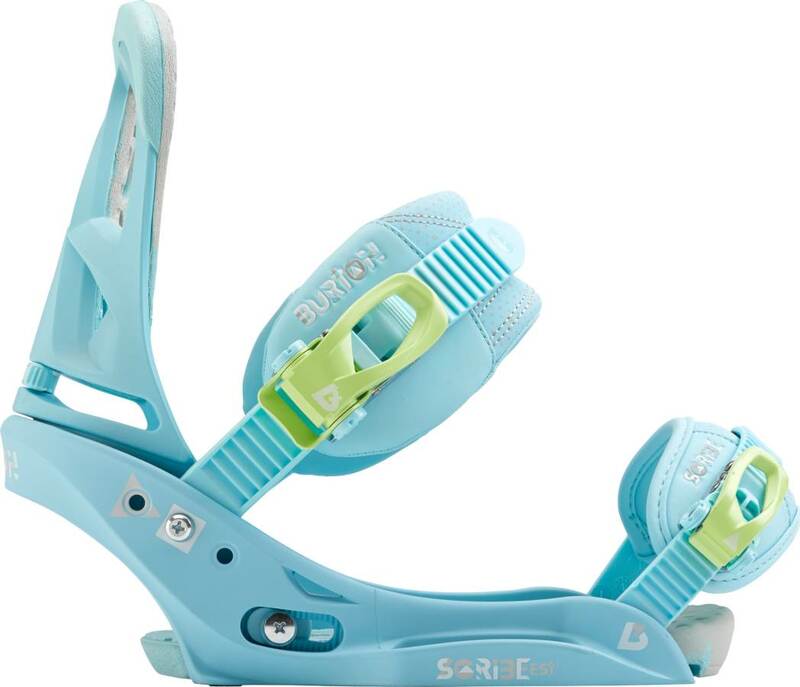 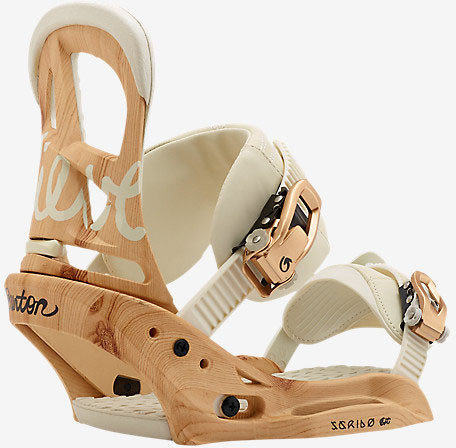 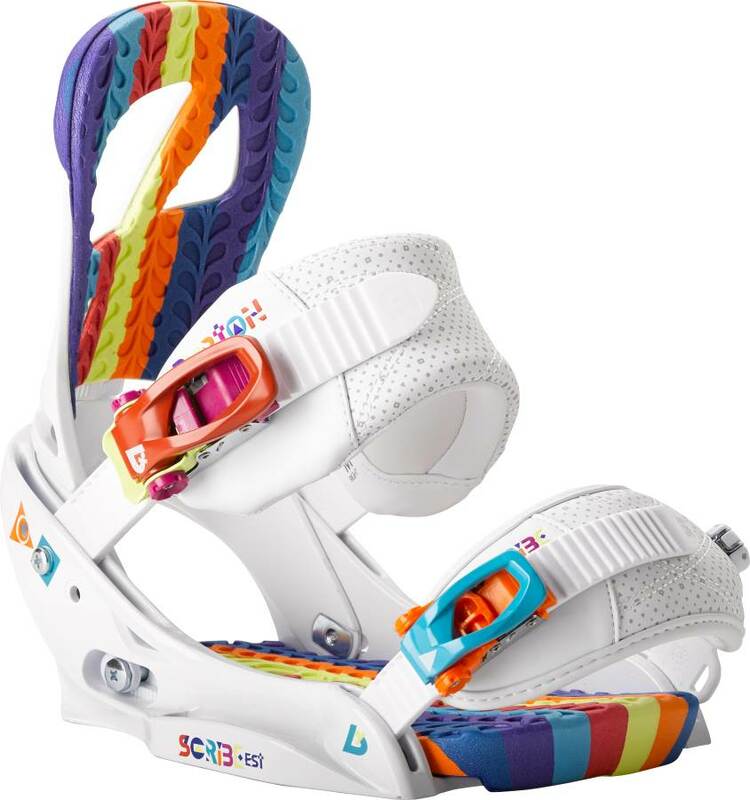 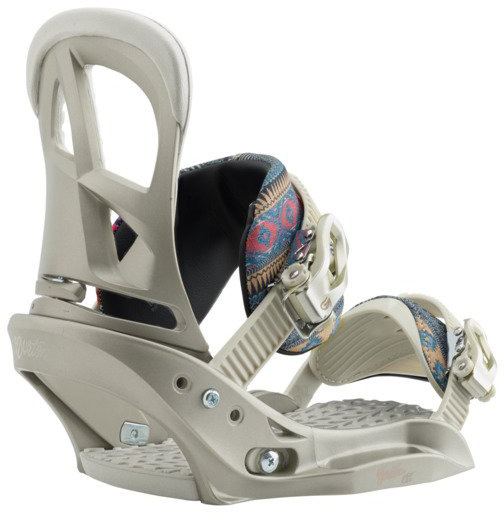 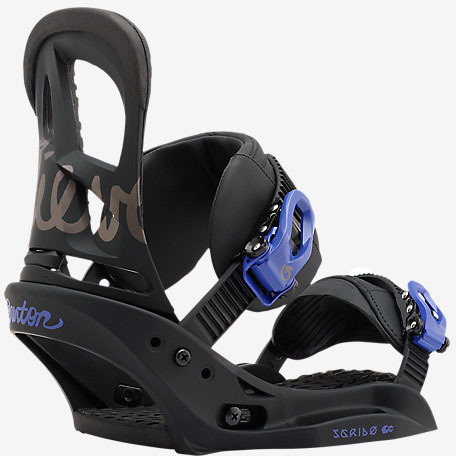 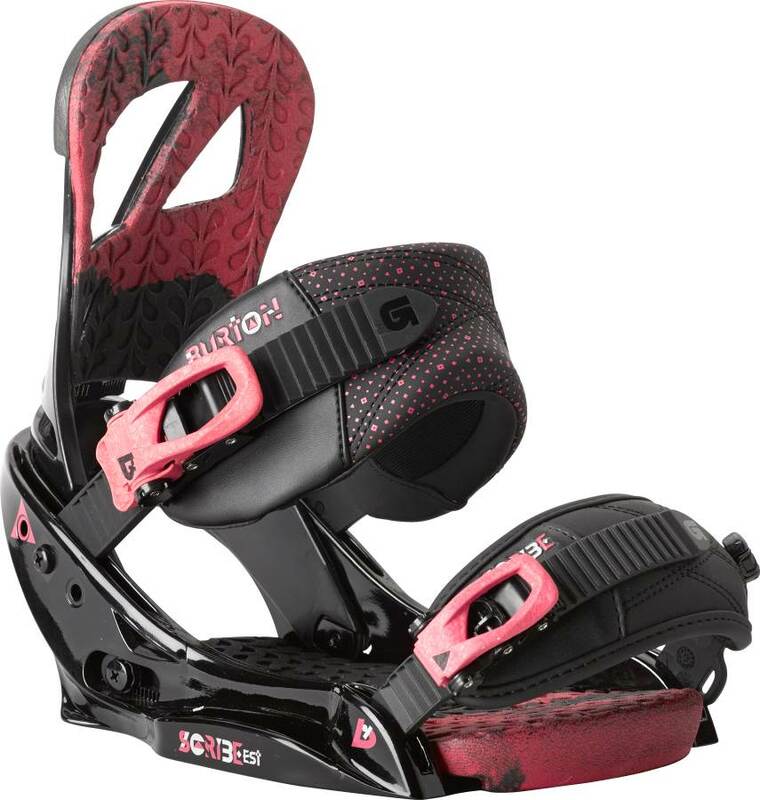 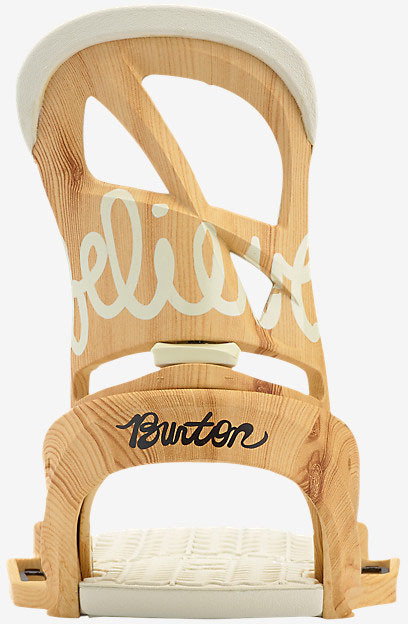 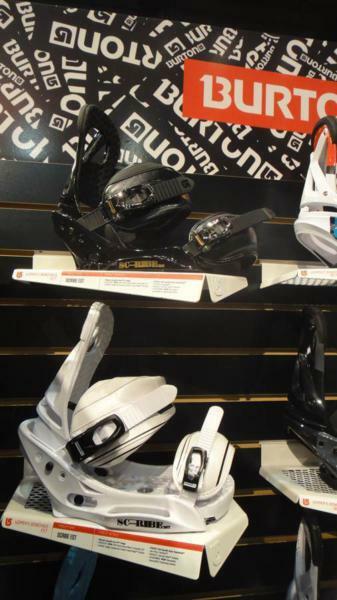 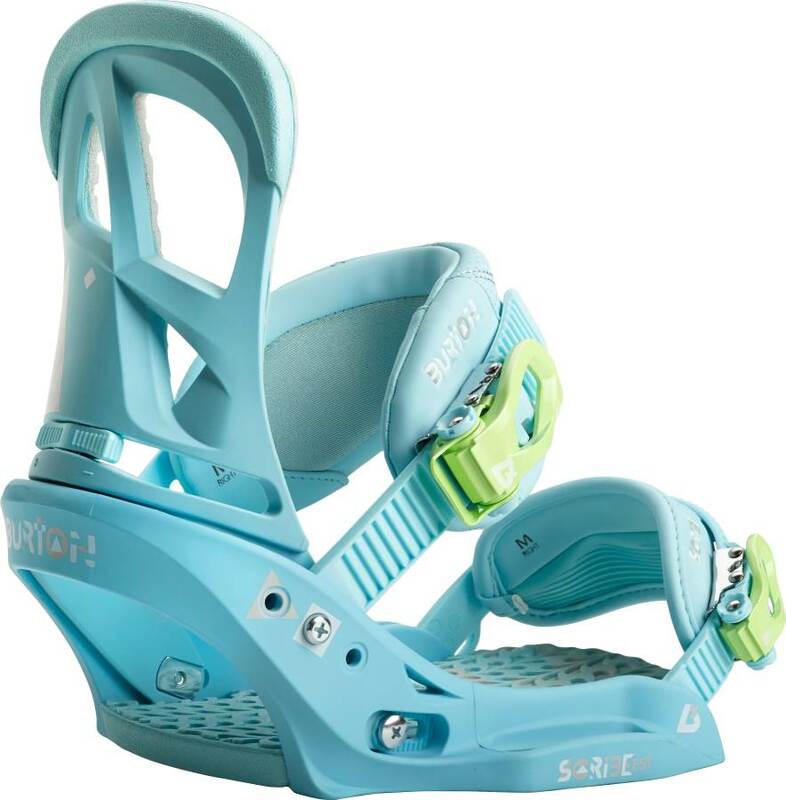 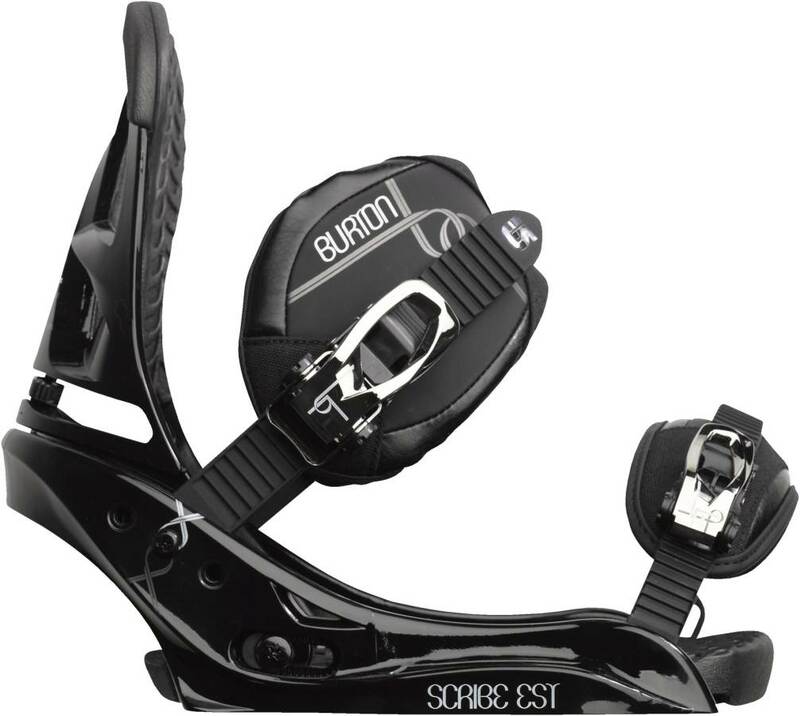 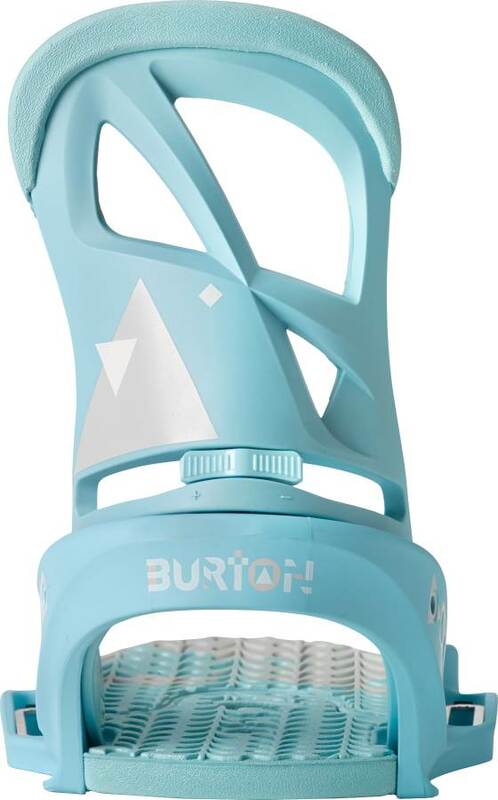 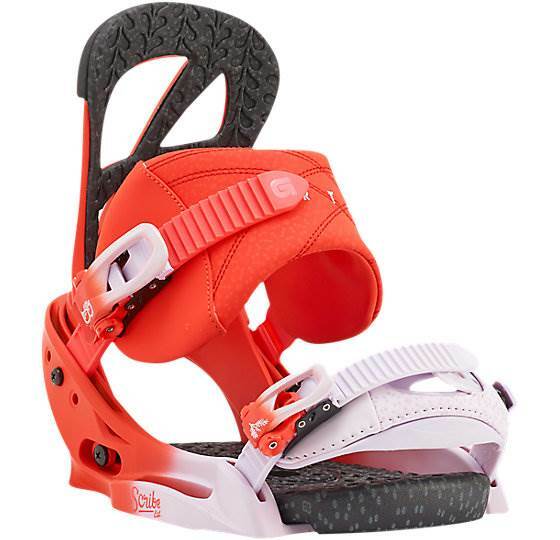 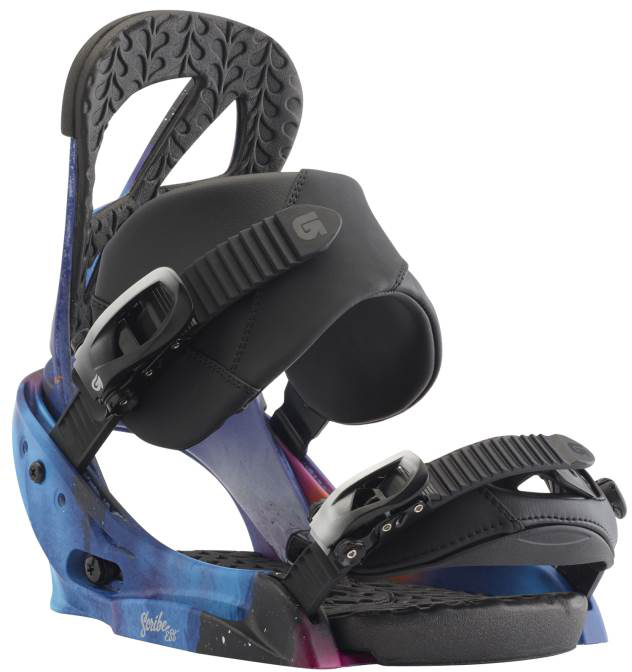 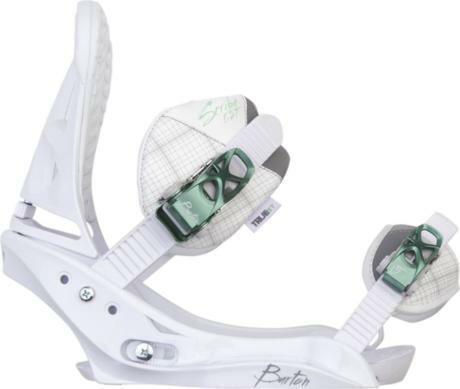 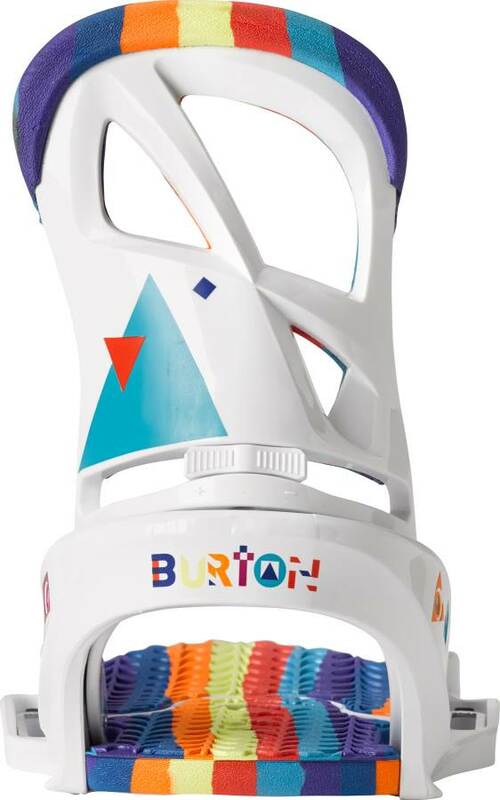 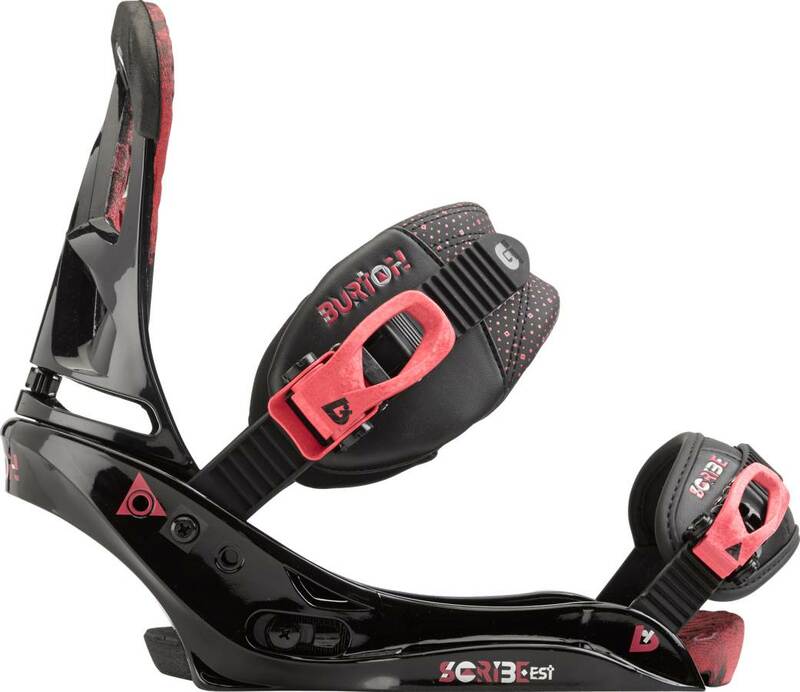 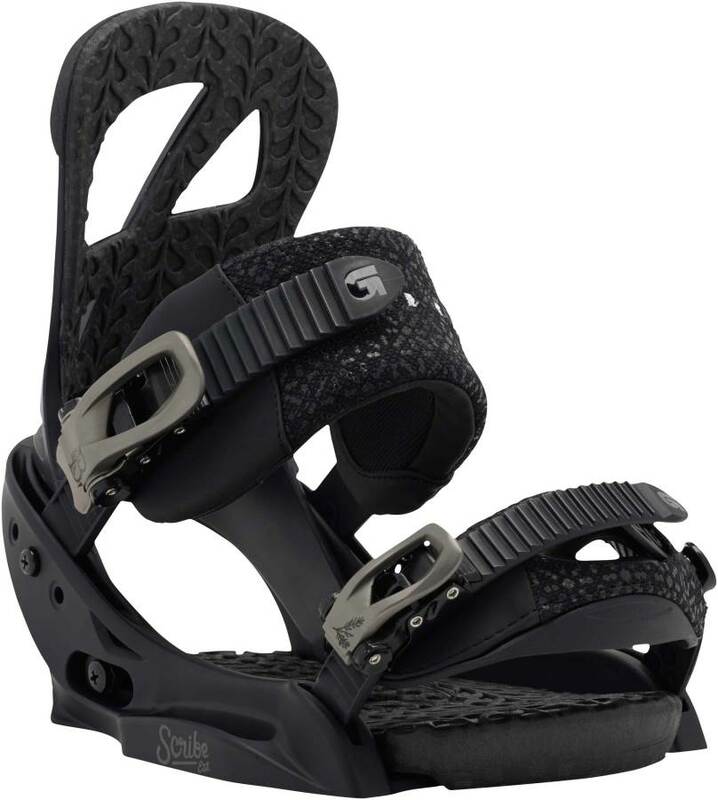 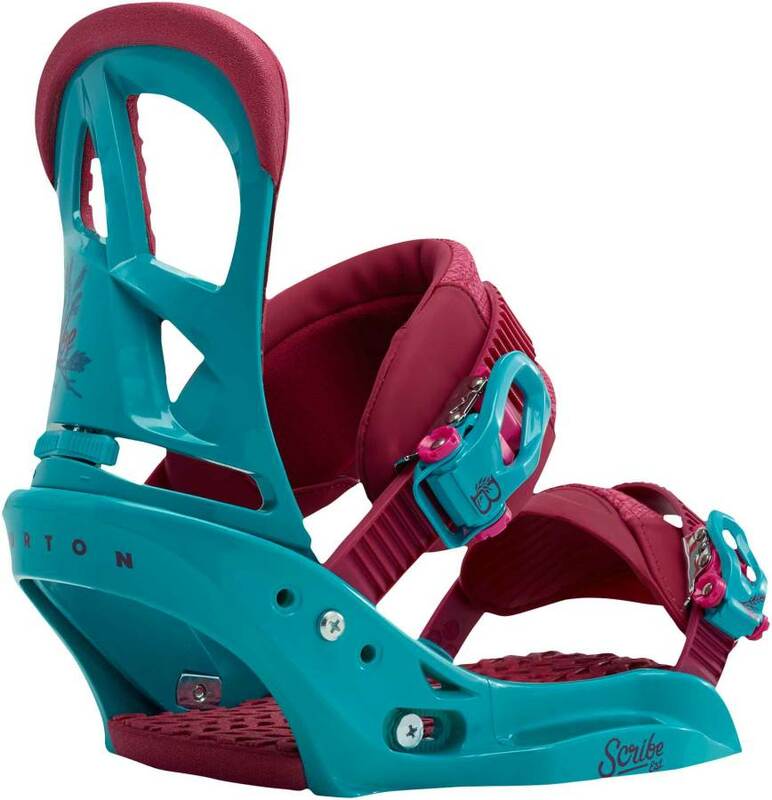 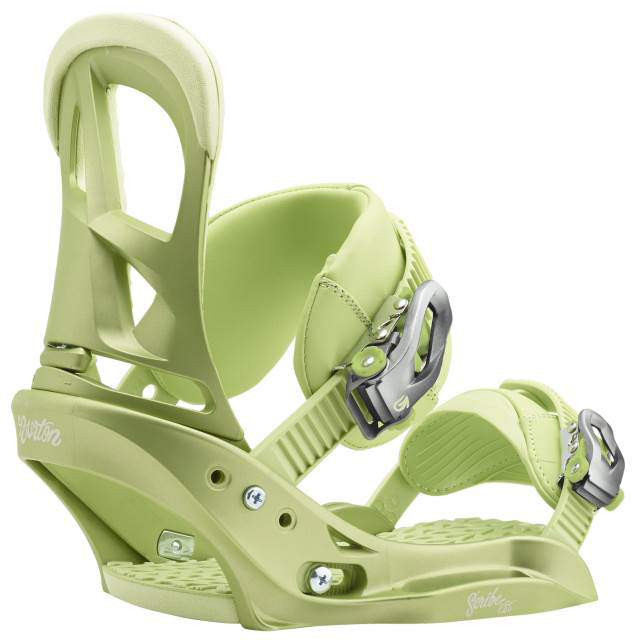 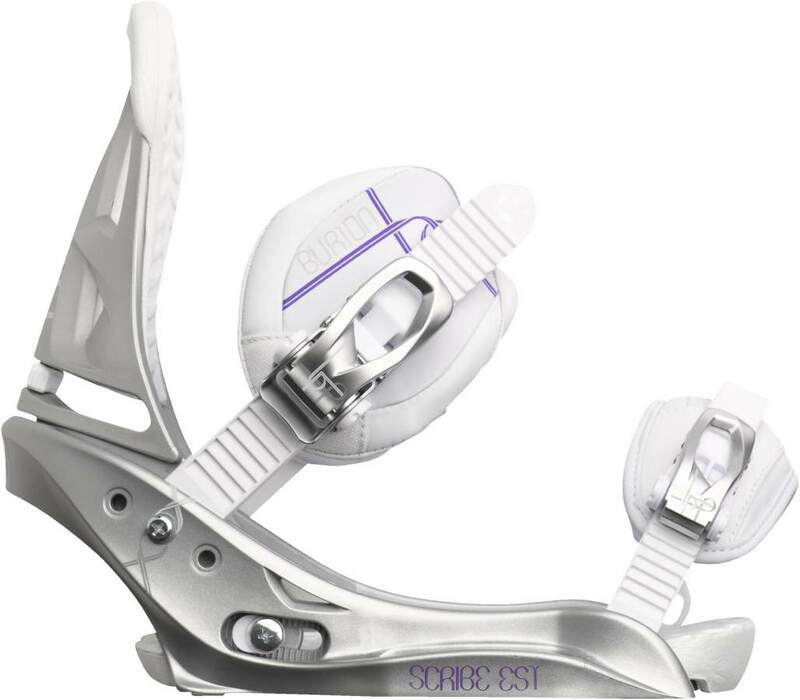 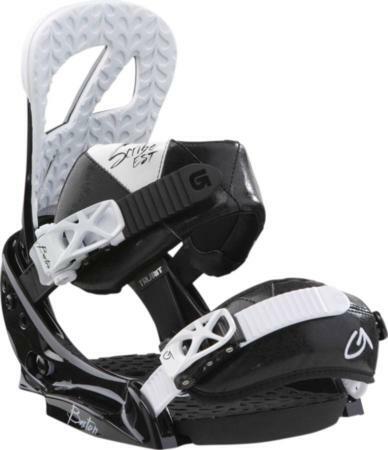 The 2014 Burton Scribe EST dropped the larger asymmetrical ankle strap and we liked the bigger one. 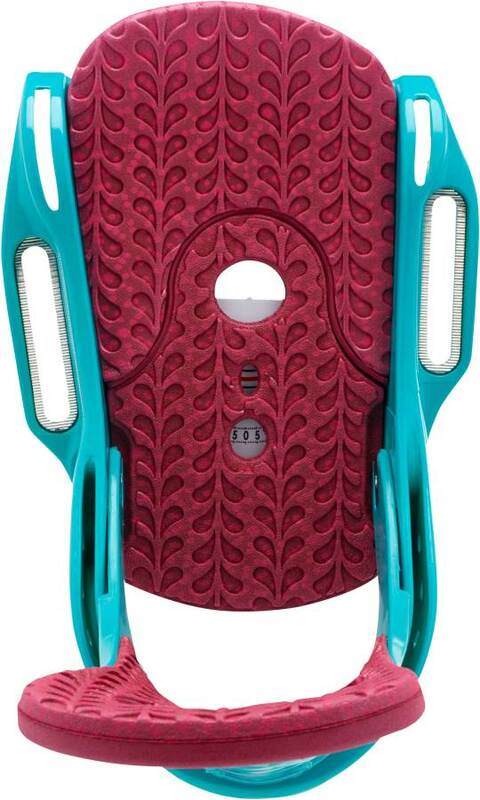 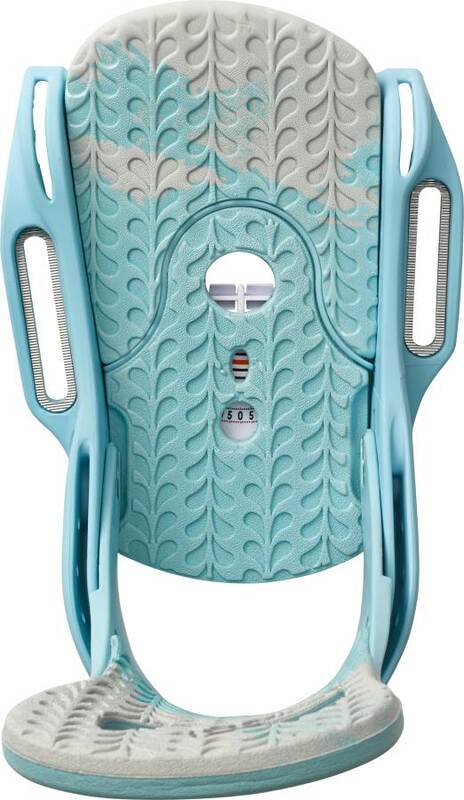 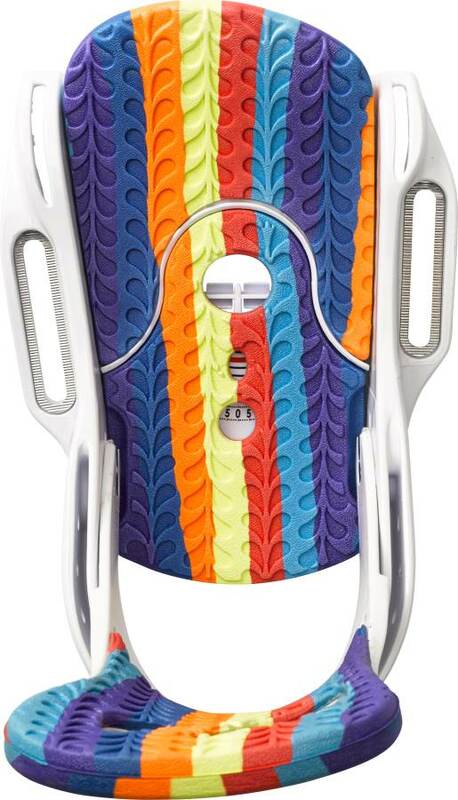 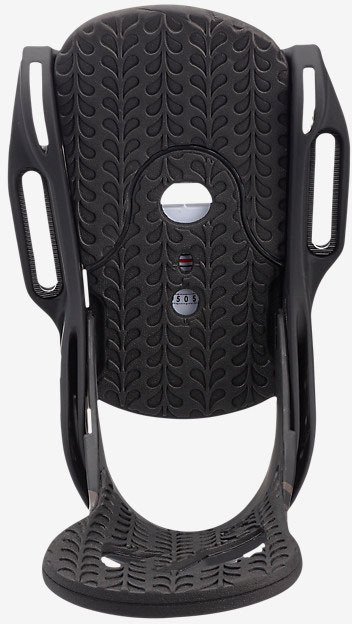 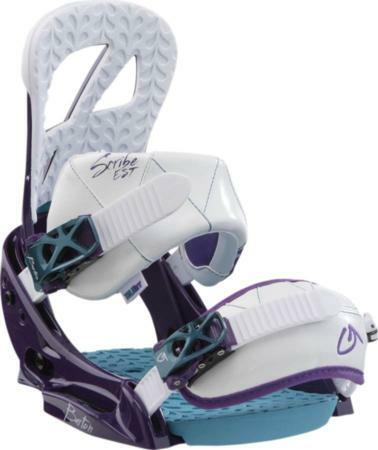 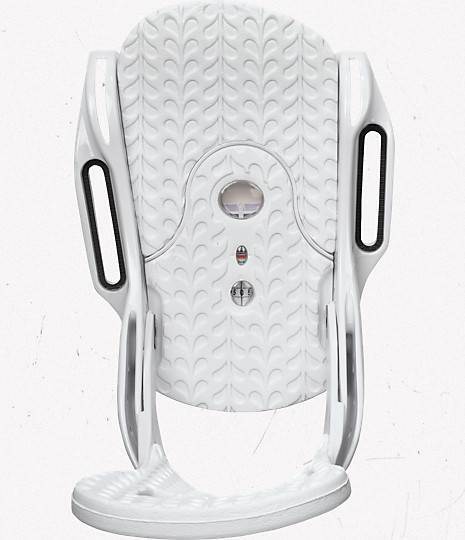 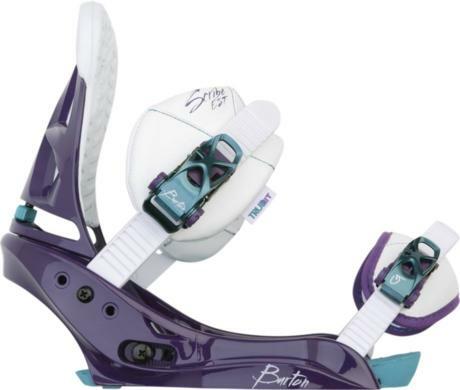 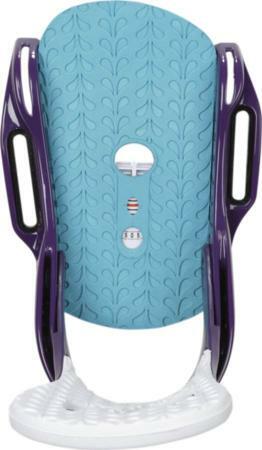 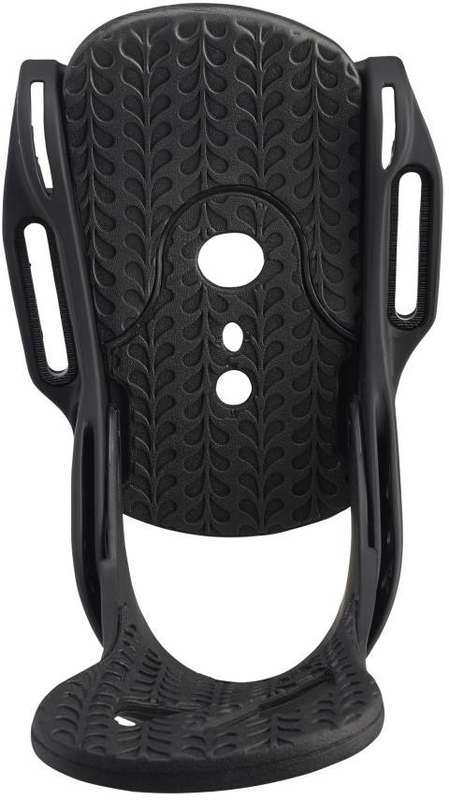 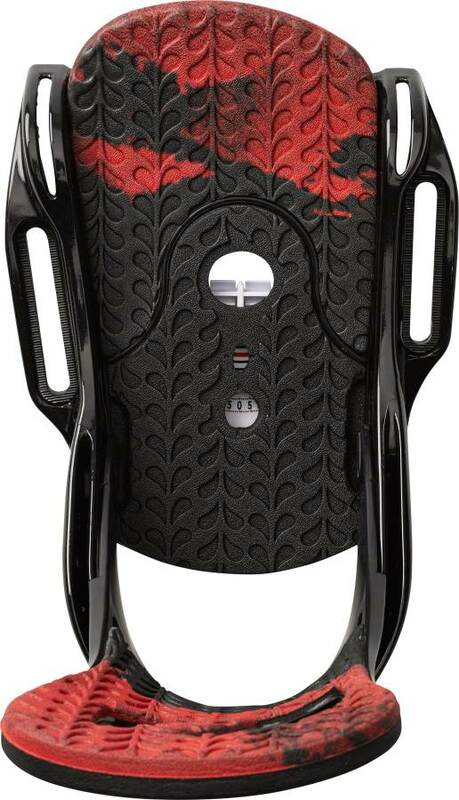 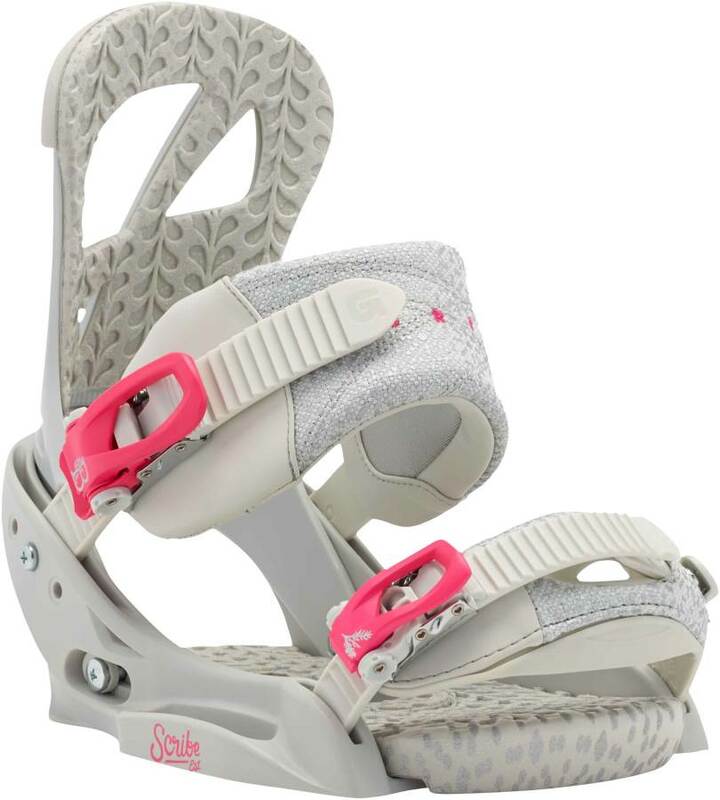 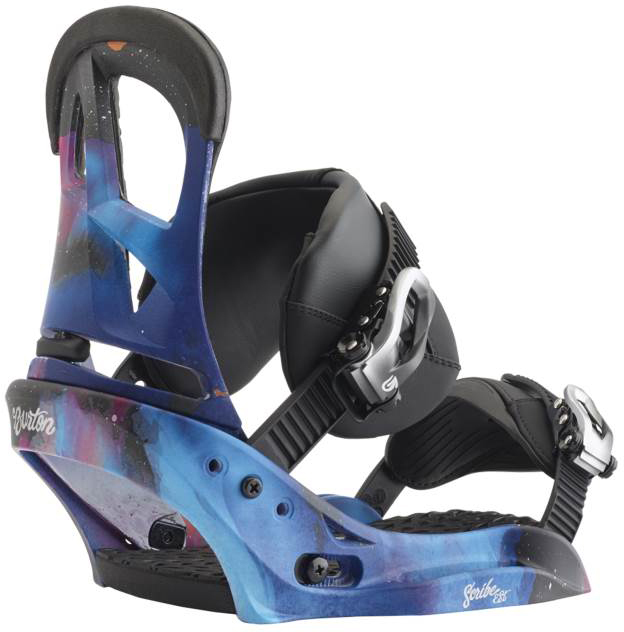 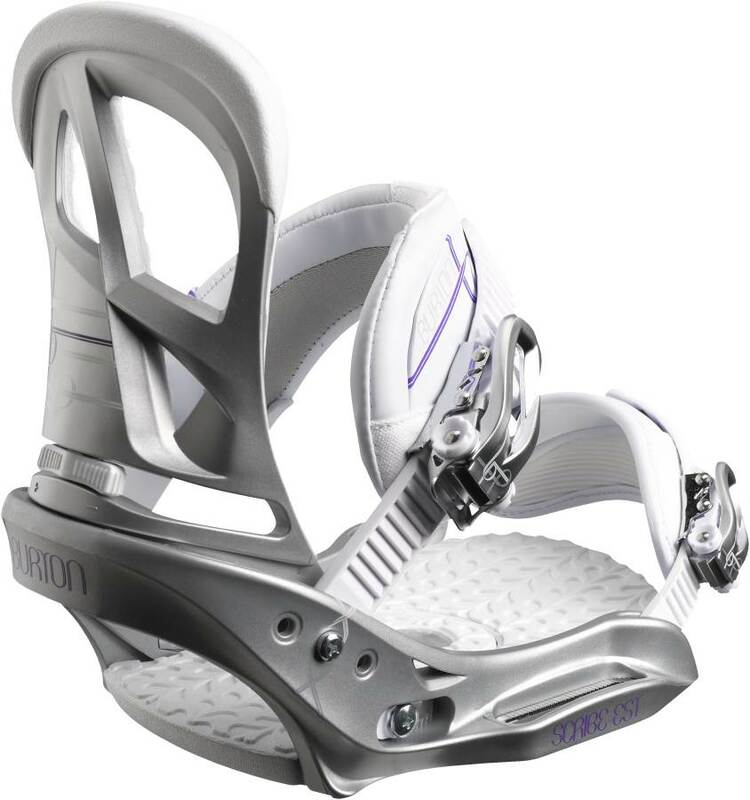 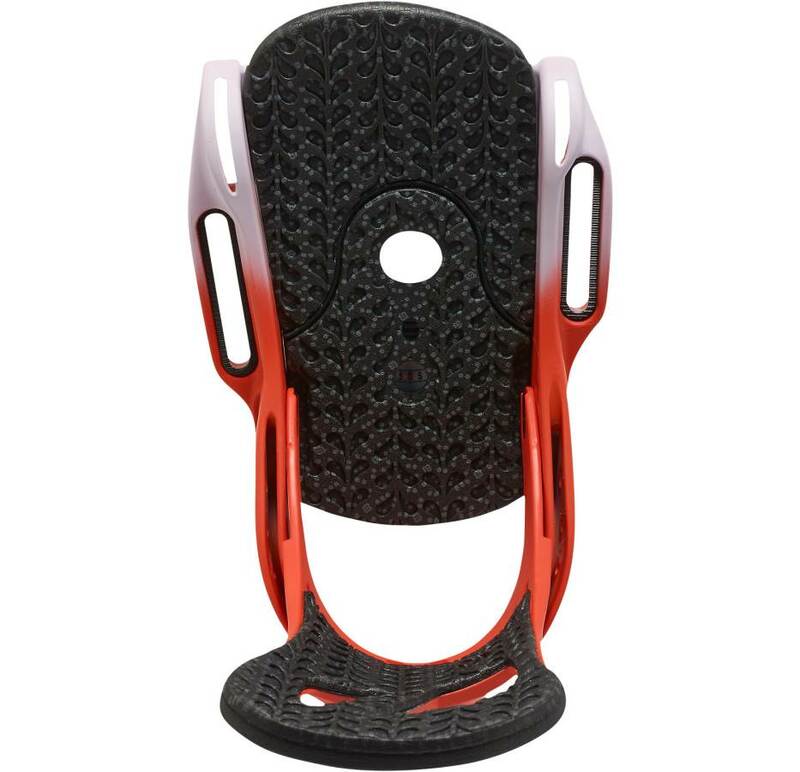 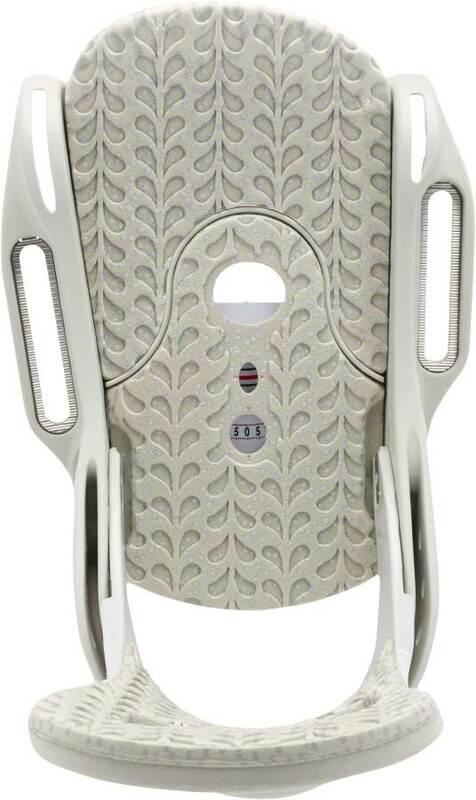 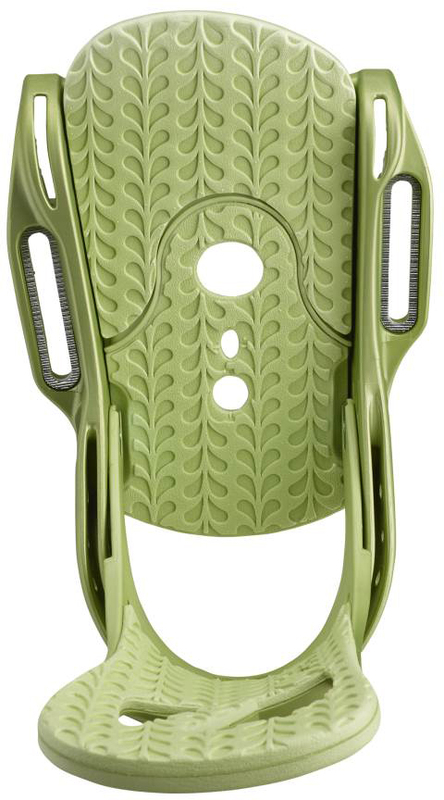 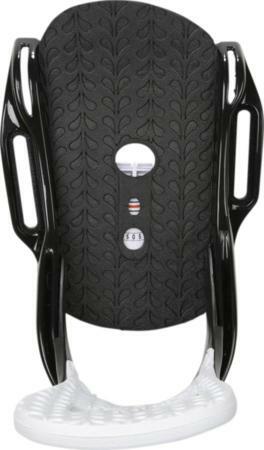 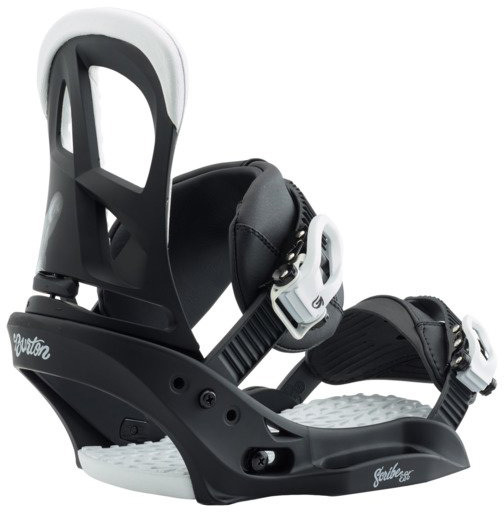 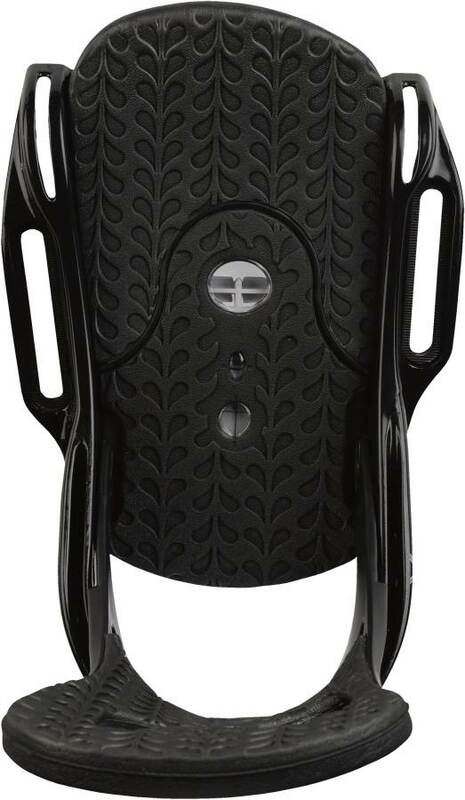 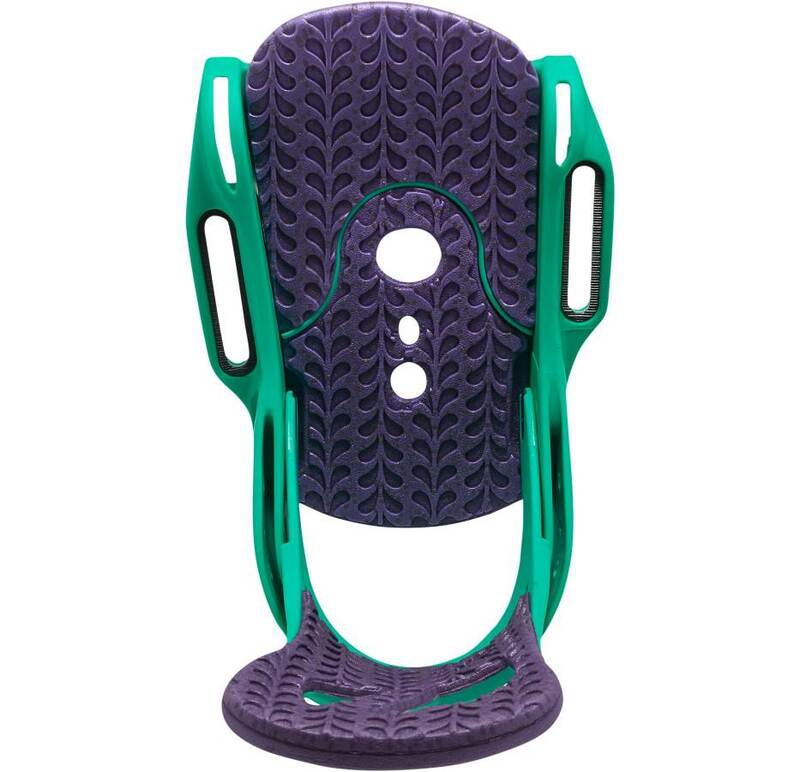 This still is a good binding that makes freestyle to freestylish boards flex very well under foot. Flex: Same great asymmetrical flex that the Re:Flex binding has. Adjustability: Very easy to adjust but it could be just a bit better. 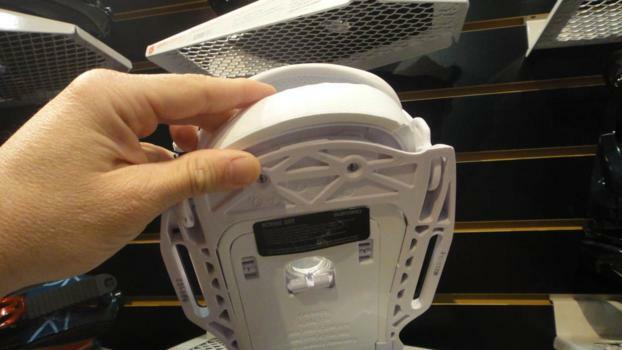 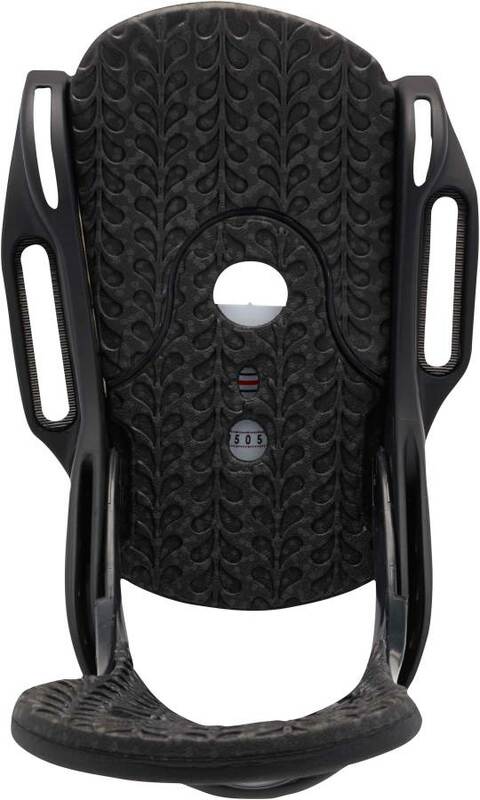 It would be better to see 100% tool-less adjustment above the disc. 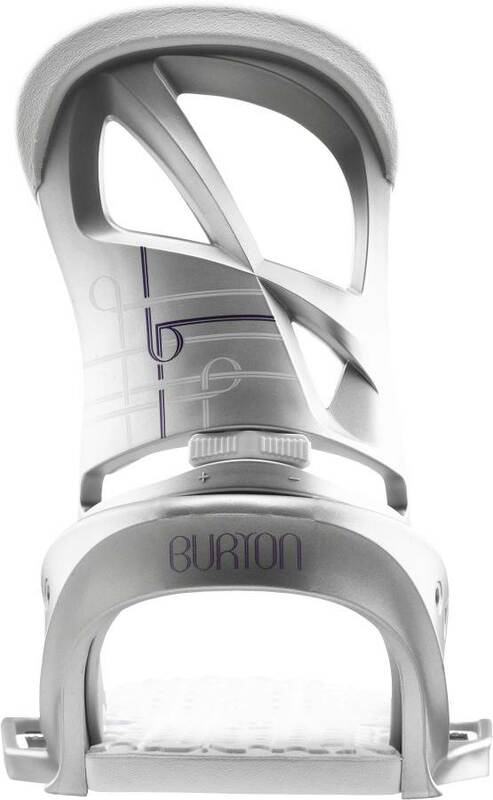 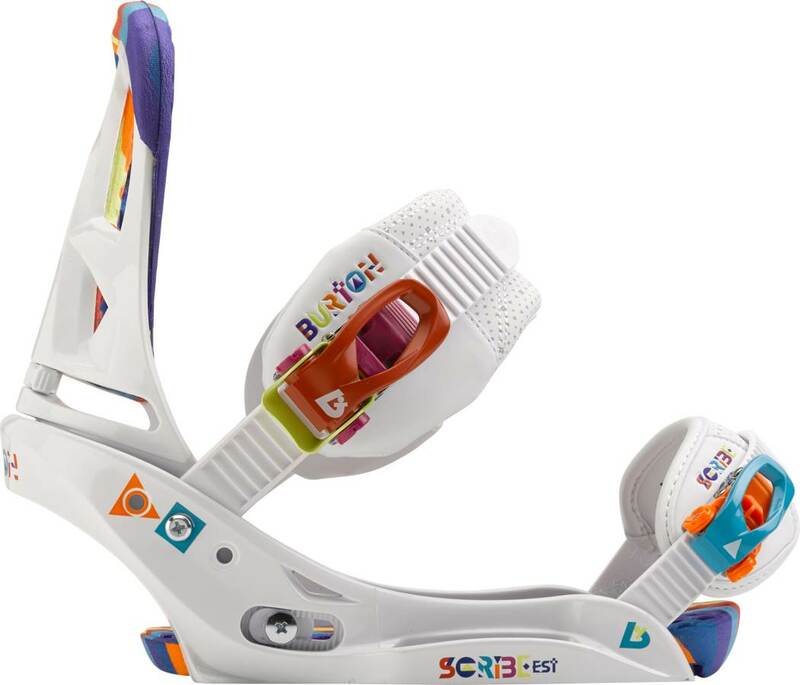 Comfort:Great comfortable ankle strap and toe strap. 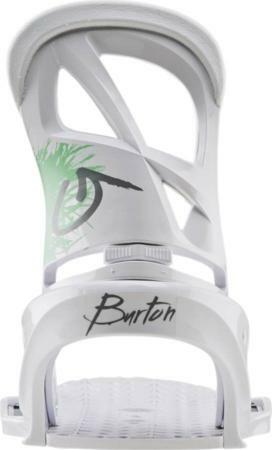 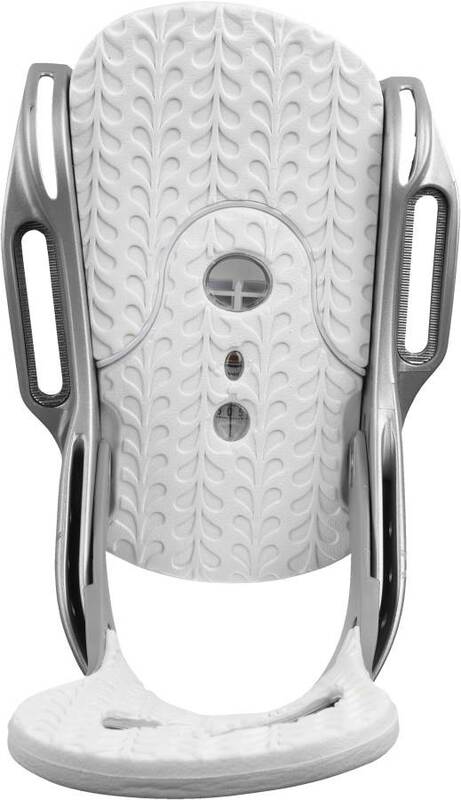 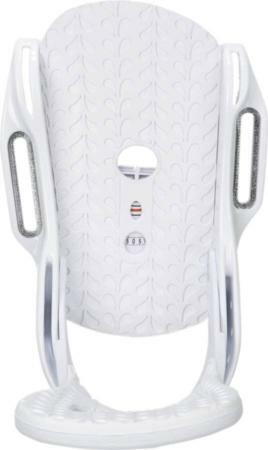 It’s not the best of the Burton Line but it does a very good job eliminating pressure points. Heel-Toe Response: It’s got a little bump in response over the Re:Flex but not too much. 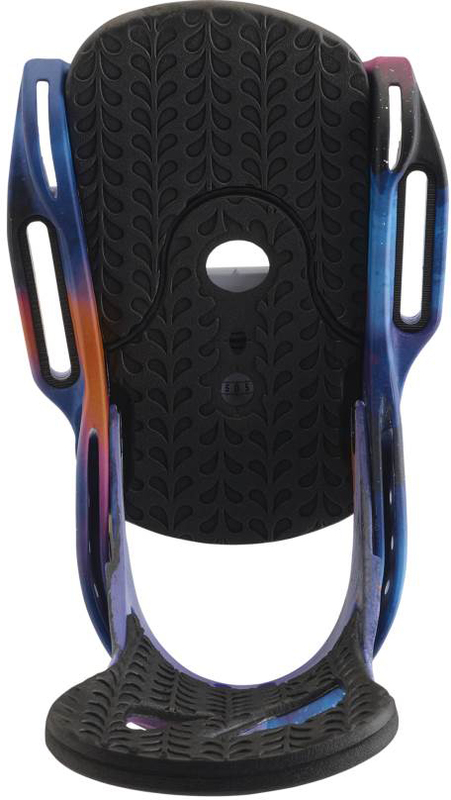 Tip-Tail Response: The EST is going to make your board easier to flex. 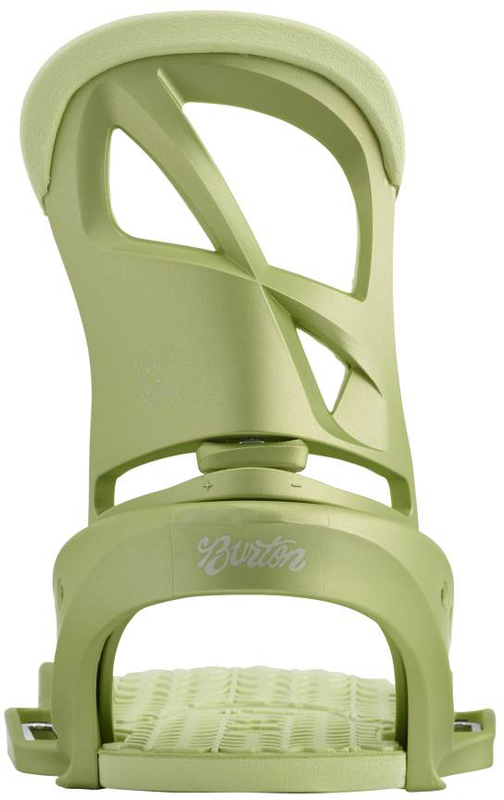 The 2013 had a little more leverage due to the larger ankle strap over the smaller 2014 Ankle strap. 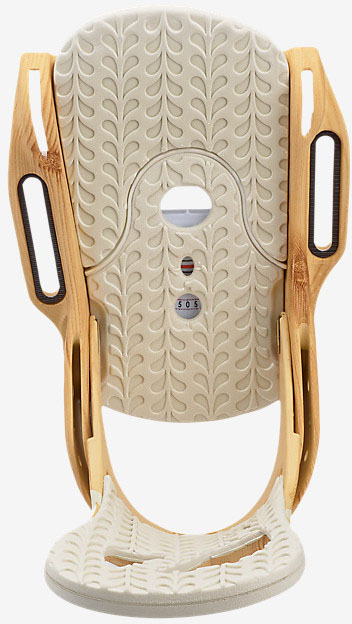 Boot Support: There is a nice balance of support and freedom. 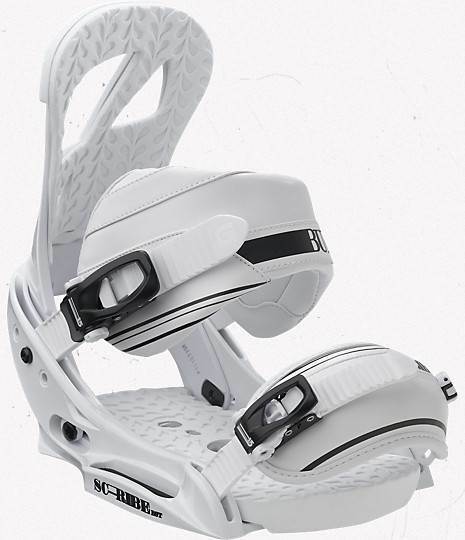 There was support on the outside and easy movement on the inside with the 2013 but now the 2014 is a little more free on the outside. 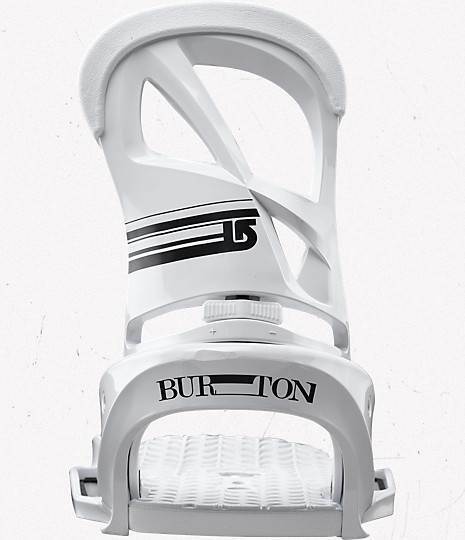 Some will like this and others will prefer the 2013 model over the 2014. Ratchet System: It’s not the Best Burton ratchet system but it’s still very good compared to most bindings in the industry. 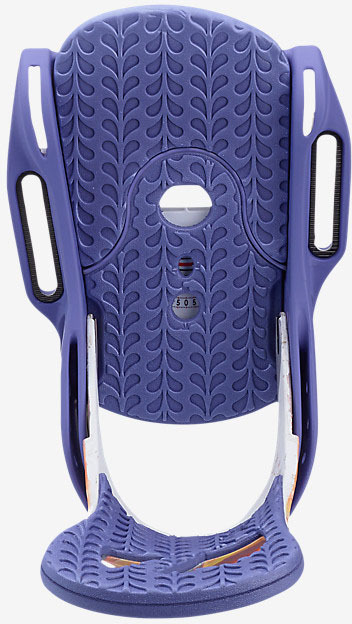 Shock Absorption: as good as it gets when it comes to shock absorption. 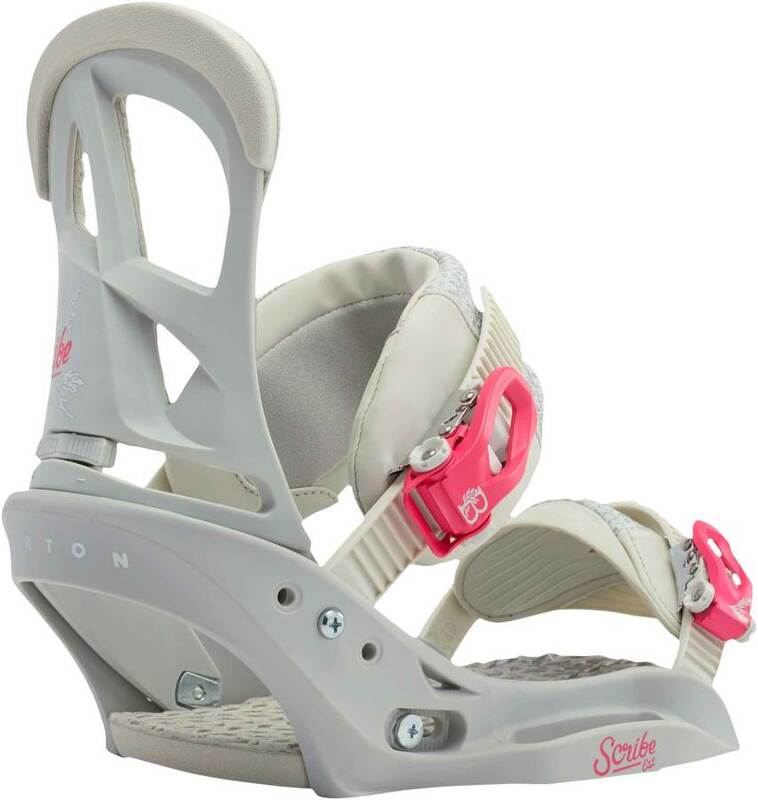 The whole foot from heel to toe has good shock absorption. 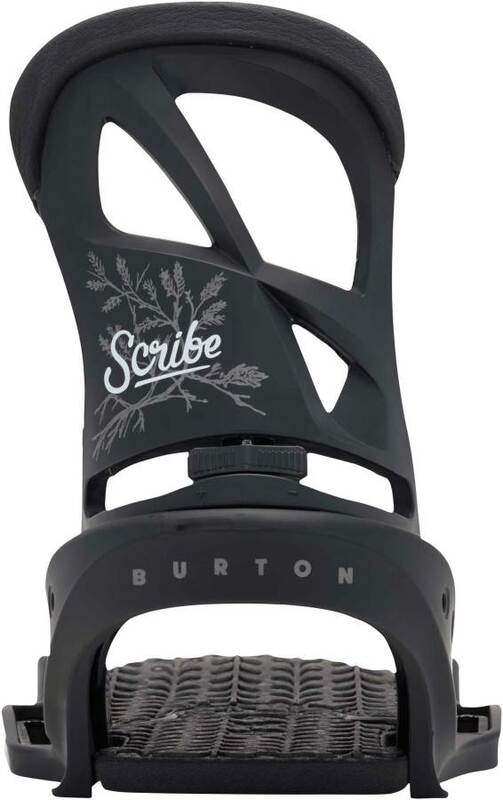 We try to get as many images of the Burton Scribe EST, but forgive us if they're not all there.